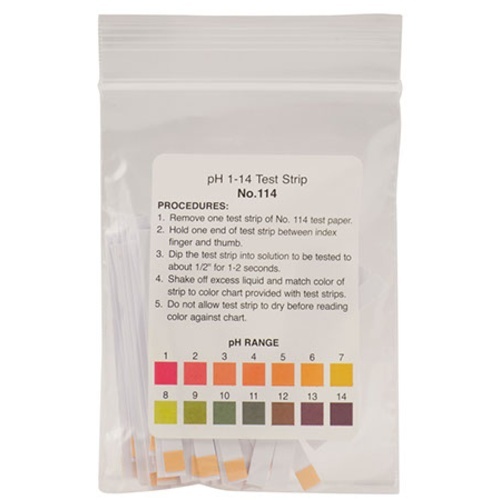 pH indicator strips in the range of 1-14 pH. Use these wide range strips for general determination of the pH, or to reduce the range before using a narrow range pH testing strip. Sold in a bag of 50 strips, with a color reference chart on the front of the bag. To monitor my sanitization solution. To check my water quality. Was looking multiple indictors on the same strip to help better determine pH.